The Groz-Beckert needles are specifically designed for multi-directional use, which is precisely what long-arm quilting machines require. Multi-directional design reflects accurate stitching while moving the machine in virtually any direction. The extra strength of a Groz-Beckert needle allows for maximum flexibility and the ability to "bend". The deep scarf prevents skipped stitches, less puckering and ultimately fewer thread breaks. 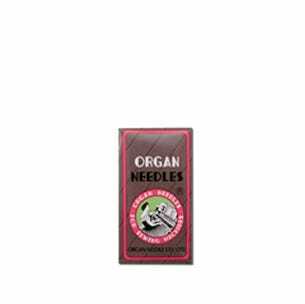 Organ needles are manufactured from high carbon, silicon-rich steel. 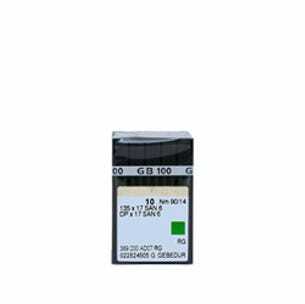 Organ offers the correct needle for the embroiderer due to their large variety of needle types, sizes, eye configuration and finishes. Organ needles come equipped with nearly every commercial embroidery machine. This includes the following embroidery machines: Brother, Juki, Mitsubishi, Yamata, Kansai, Pegasus, Consew, Tajima, Barudan, Toyota, and many more. Please note that the information to the Below is general information gathered over the years from experienced customers. This information is in no way absolute, and is designed to be a general guide to assisting embroiders with their needle selection. Fil-tec, Inc. / Bobbin Central recommends testing needles and scrap fabrics when you have questions or concerns.